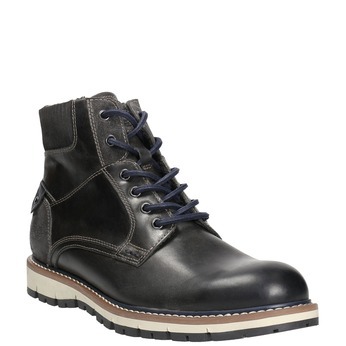 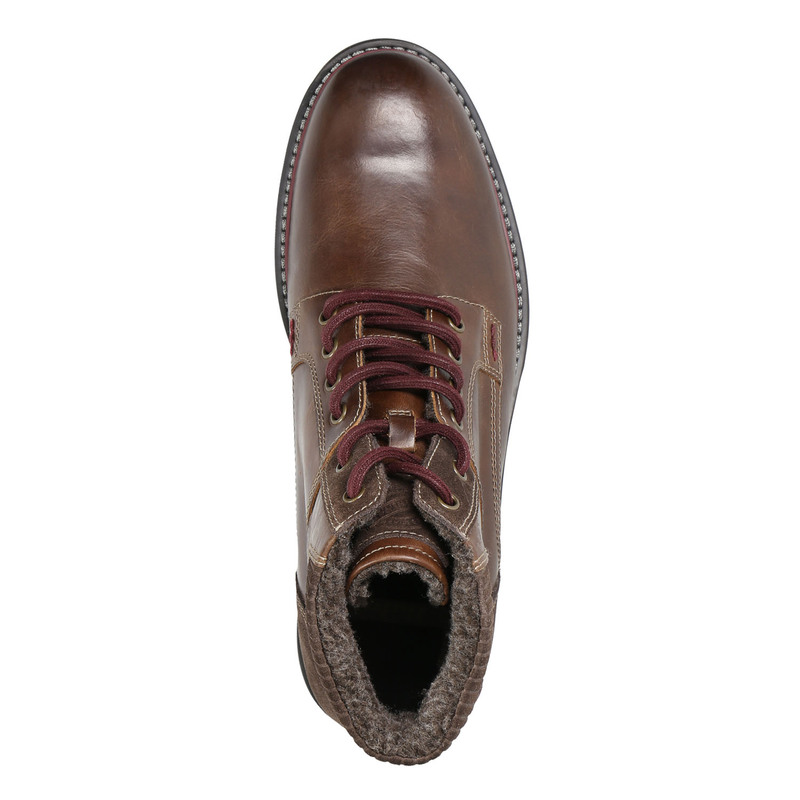 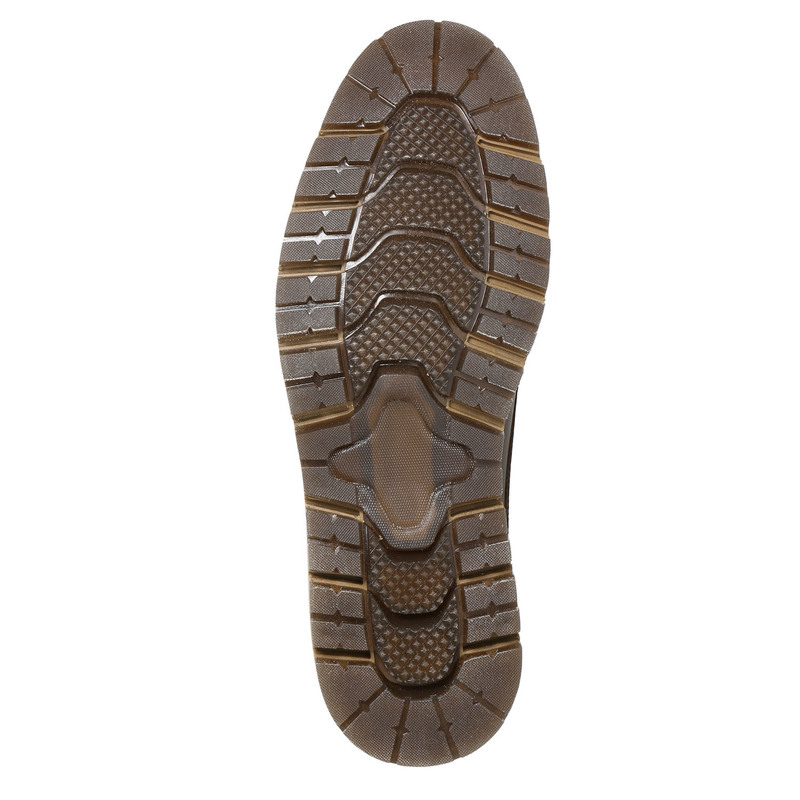 These men’s above-the-ankle winter boots have a brown leather upper that is decorated with contrasting stitching. 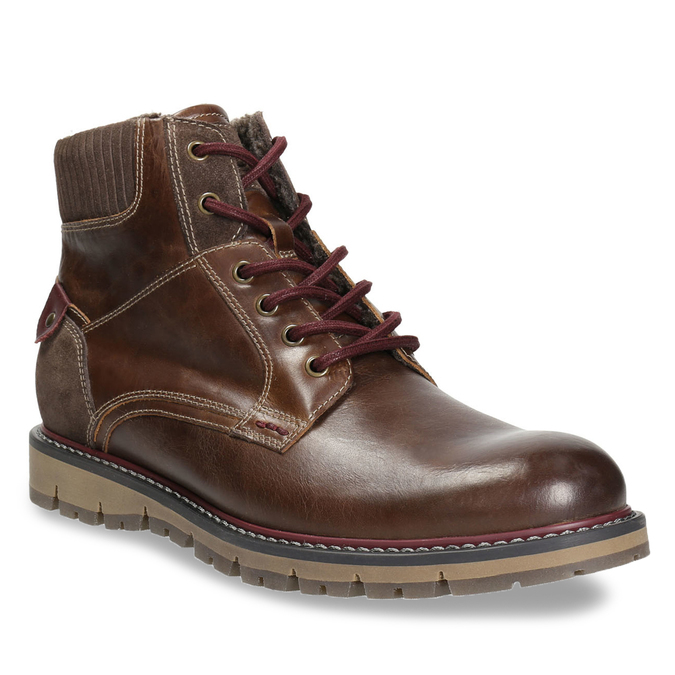 The burgundy laces match the small accents of the boot. 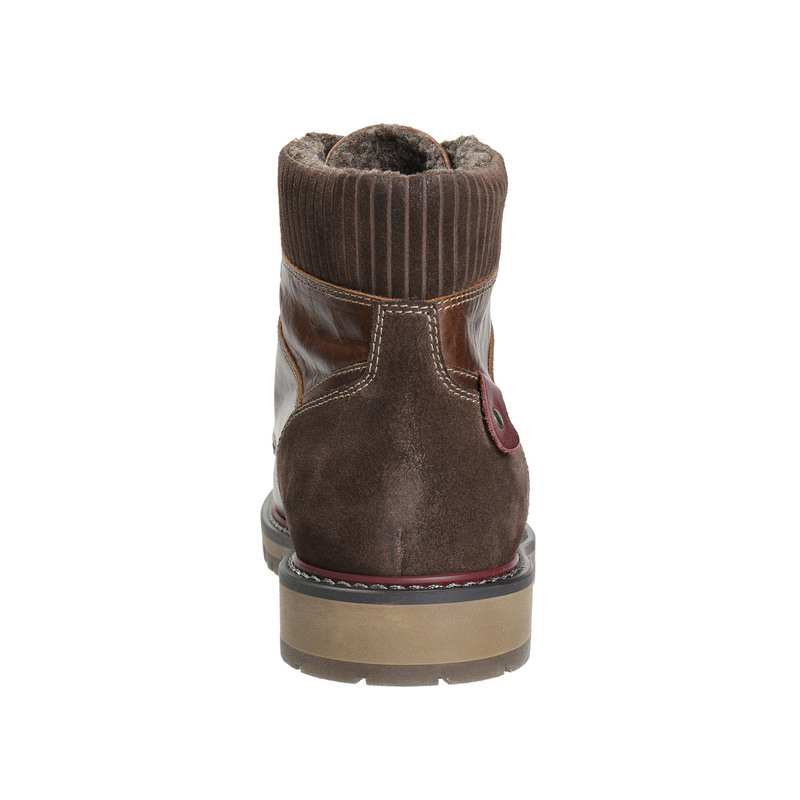 They are insulated on the inside, which makes them great for chilly days. 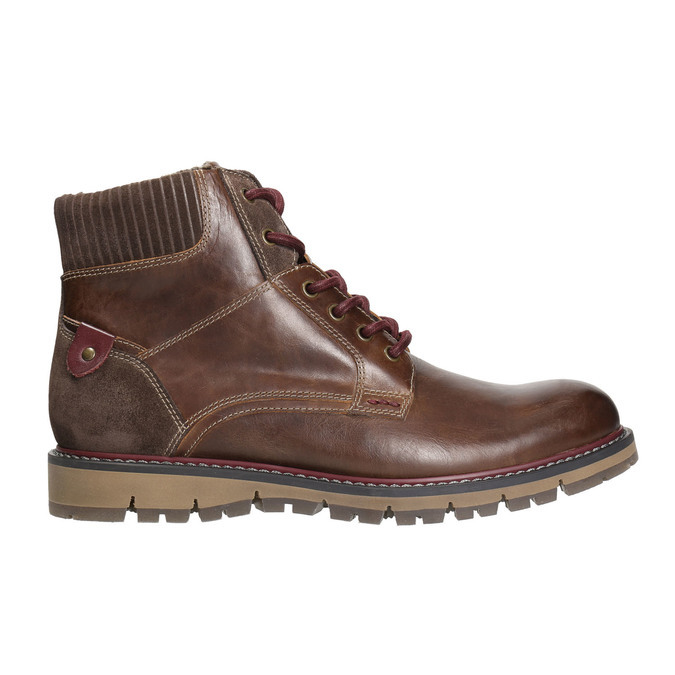 These boots will add the perfect finishing touch for casual outfits for a trip into town.